Married Name 1861 As of 1861,her married name was Edmonds. Mary Spyker was born on 9 April 1843 at Jefferson, Pennsylvania. She was the daughter of Joel Spyker and Mary Wenger. Mary Spyker married Thomas Sylvester Edmonds in 1861. All of these children were present at the funeral. She also leaves ten grandchildren. In early life she united with the Lutheran Church, and as her health would permit, was faithful to its services and requirements. those in distress. No disease was so contagious to keep her from her duty. About two years ago, she was stricken with paralysis, yet she bore her suffering patiently until the final summons came. She has gone to receive the glad welcome. "Well done, good and faithful servant, enter thou into the joy of the Lord." She was laid to rest on Sabbath afternoon in St. John's Cemetery. Funeral services were conducted by Rev. FREY, pastor of the Grace Lutheran Church in Brookville. Source: Jeffersonian Democrat, October 31, 1907. She was buried after 25 October 1907 at Saint Johns Cemetery Windy Hill, Stanton, Jefferson, Pennsylvania. Mary Spyker had 8 with 7 living in 1900 children. [S249] U.S. Federal Census 1850 U.S. Federal Census, by Ancestry.com, Dwelling 1142. [S248] U.S. Federal Census 1860 U.S. Federal Census, by Ancestry.com, Page 37. Stamp 327. Dwelling 12. Name Variation Catherine A. Gearhart was also known as Katherine. Married Name circa 1849 As of circa 1849,her married name was Spyker. Married Name circa 1849 As of circa 1849,her married name was Speaker. Catherine A. Gearhart was born on 25 August 1831 at Pennsylvania also reported as Nov 1831. She married Abner Spyker, son of Joel Spyker and Mary Wenger, circa 1849. Catherine A. Gearhart died on 11 August 1912 at age 80. She was buried after 11 August 1912 at Saint Johns Cemetery Windy Hill, Stanton, Jefferson, Pennsylvania. Catherine A. Gearhart had 11 with 7 living in 1910 children. [S247] U.S. Federal Census 1870 U.S. Federal Census, by Ancestry.com, Page 17. Stamp 169. Dwelling 106. [S246] U.S. Federal Census 1880 U.S. Federal Census, by Ancestry.com, Page 58. ED198. Dwelling 230. [S245] U.S. Federal Census 1900 U.S. Federal Census, by Ancestry.com, ED3. Dwelling 110. [S244] U.S. Federal Census 1910 U.S. Federal Census, by Ancestry.com, ED89. Dwelling 154. Married Name before 1880 As of before 1880,her married name was McLane. Mary R. Campbell was born circa 1847 at Ohio. She was the daughter of Daniel Jone Campbell and Susanna Spyker. Mary R. Campbell married (?) McLane before 1880. [S249] U.S. Federal Census 1850 U.S. Federal Census, by Ancestry.com, Dwelling 189. [S248] U.S. Federal Census 1860 U.S. Federal Census, by Ancestry.com, Page 193. Stamp 97. Dwelling 1408. [S246] U.S. Federal Census 1880 U.S. Federal Census, by Ancestry.com, NA Film Number T9-1078 Page Number 142B. (?) McLane died before 1880. He married Mary R. Campbell, daughter of Daniel Jone Campbell and Susanna Spyker, before 1880. Benjamin F. Campbell was born circa 1844 at Ohio. He was the son of Daniel Jone Campbell and Susanna Spyker. Benjamin F. Campbell married Emily (?) before 1870. [S247] U.S. Federal Census 1870 U.S. Federal Census, by Ancestry.com, Year: 1870; Census Place: Logansport, Cass, Indiana; roll: M593_302; Page: 228B; Image: 460; Family History Library Film: 545801. George Campbell was born circa 1851 at Ohio. Married Name circa 1875 As of circa 1875,her married name was Mullaly. Sarah I. Campbell was born in September 1857 at Ohio. Sarah I. Campbell married William Mullaly circa 1875. Sarah I. Campbell had 4 with 4 living in 1900 children. [S247] U.S. Federal Census 1870 U.S. Federal Census, by Ancestry.com, Page 10. Dwelling 77. [S245] U.S. Federal Census 1900 U.S. Federal Census, by Ancestry.com, Year: 1900; Census Place: Weston, Wood, Ohio; Roll: 1334; Page: 4A; Enumeration District: 0163; FHL microfilm: 1241334. Name Variation Margaret T. Hopkins was also known as Margaret F.
Married Name 28 February 1856 As of 28 February 1856,her married name was Spyker. Margaret T. Hopkins was born on 3 September 1836 at Pennsylvania also reported as Sep 1835. She married Peter Spyker, son of Joel Spyker and Mary Wenger, on 28 February 1856 at Pennsylvania by Rev. J. Crum. Margaret T. Hopkins died on 27 March 1921 at age 84. Margaret T. Hopkins had 6 with 5 living in 1900 children. She had 5 with 5 living in 1910 children. [S248] U.S. Federal Census 1860 U.S. Federal Census, by Ancestry.com, Stamp 261. Dwelling 59. [S247] U.S. Federal Census 1870 U.S. Federal Census, by Ancestry.com, Page 23. Dwelling 142. [S246] U.S. Federal Census 1880 U.S. Federal Census, by Ancestry.com, Page 17. ED186. Dwelling 150. [S245] U.S. Federal Census 1900 U.S. Federal Census, by Ancestry.com, ED59. Dwelling 228. [S244] U.S. Federal Census 1910 U.S. Federal Census, by Ancestry.com, ED67. Dwelling 119. [S243] U.S. Federal Census 1920 U.S. Federal Census, by Ancestry.com, ED141. Dwelling 16. Mary C. Spyker was born in January 1857 at Pennsylvania. She was the daughter of Peter Spyker and Margaret T. Hopkins. As of 1920, Mary C. Spyker was never married. She died on 9 August 1932 at age 75. [S247] U.S. Federal Census 1870 U.S. Federal Census, by Ancestry.com, Page 23. Dwelling 144. Married Name circa 1882 As of circa 1882,her married name was Russell. Martha Ann Spyker was born on 5 August 1859 at Pennsylvania also reported as Apr 1859. Martha Ann Spyker married Frank Freeman Russell, son of Ellis Russell and Margaret (? ), circa 1882. Martha Ann Spyker died in 1949. Martha Ann Spyker had 10 with 5 living in 1900 children. She had 12 with 7 living in 1910 children. [S245] U.S. Federal Census 1900 U.S. Federal Census, by Ancestry.com, ED59. Dwelling 71. [S244] U.S. Federal Census 1910 U.S. Federal Census, by Ancestry.com, ED93. Dwelling 26. [S243] U.S. Federal Census 1920 U.S. Federal Census, by Ancestry.com, ED116. Dwelling 174. [S250] U.S. Federal Census 1930 U.S. Federal Census, by Ancestry.com, ED50. Dwelling 43. Name Variation Thompson John Spyker was also known as Thomas J. Name Variation Thompson John Spyker was also known as John Thomas. Name Variation Thompson John Spyker was also known as John Thompson. Thompson John Spyker was born in September 1860 at Pennsylvania. He was the son of Peter Spyker and Margaret T. Hopkins. As of 1920, Thompson John Spyker was never married. He died on 3 March 1936 at age 75. He was buried after 3 March 1936 at Brookville Cemetery, Brookville, Jefferson, Pennsylvania. Name Variation George Peter Speaker was also known as Peter. Name Variation George Peter Speaker was also known as Spyker. George Peter Speaker was born on 5 September 1862 at Pennsylvania. George Peter Speaker married Amy F. Baum, daughter of Fred Baum and Susan McCauley, on 31 October 1900. George Peter Speaker died on 25 January 1920 at Died from a fall on the ice. at age 57. He was buried after 25 January 1920 at Brookville Cemetery, Brookville, Jefferson, Pennsylvania. [S246] U.S. Federal Census 1880 U.S. Federal Census, by Ancestry.com, Page 57. ED198. Dwelling 228. [S243] U.S. Federal Census 1920 U.S. Federal Census, by Ancestry.com, Year: 1920; Census Place: Pittsburgh Ward 13, Allegheny, Pennsylvania; Roll: T625_1522; Page: 13A; Enumeration District: 527; Image: 268. 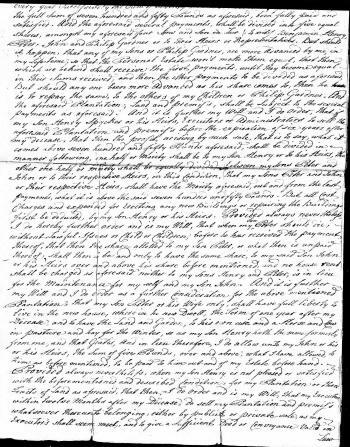 Married Name 23 May 1782 As of 23 May 1782,her married name was Spyker. Catherine Etchberger was born in 1744. She married George Peter Spyker, son of Peter Spyker and Maria Margaretha Seidel, on 23 May 1782. Catherine Etchberger died on 27 April 1797. Name Variation Peter Spyker was also known as Spycker. Name Variation Peter Spyker was also known as John Peter. Peter Spyker was born on 27 October 1711 at Palatines, Germany, also reported as Tulpehocken, Berks, Pennsylvania. He was the son of Johannes Peter Spyker and unknown (?). Peter Spyker married Maria Margaretha Seidel on 2 December 1742. Peter Spyker died on 13 July 1789 at Tulpehocken, Berks, Pennsylvania, at age 77. He was buried after 13 July 1789 at Tulpehocken Trinity UCC Cemetery, Millardsville, Lebanon, Pennsylvania. 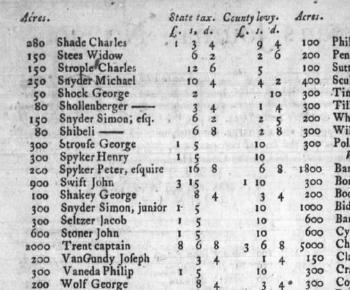 1737 PA Early Census, Philadelphia, Philadelphia, Pennsylvania Peter Spyker appeared on the census of 1737 at PA Early Census, Philadelphia, Philadelphia, Pennsylvania, listed as Joh. Peter Spycker. 1786 Tulpehocken, Berks, Pennsylvania He appeared on the census of 1786 at Tulpehocken, Berks, Pennsylvania. Peter Spyker, a brother of Benjamin Spyker, also located in Tulpehocken township of Berks county, shortly after his landing at Philadelphia in 1738. He was a farmer. He was appointed one of the judges of the county in 1763, and continued in that office until his death in August 1789. He was especially appointed as president of the courts in 1780 He was the principal judicial officer of the county during the Revolution, and served as a justice of the peace for the Tulpehocken district, from 1777. Peter Spyker and Johannes Peter Spyker immigrated on 14 September 1737 to Southern Germany to Philadephia, then to, Tulpehocken, Berks, Pennsylvania, Another progenitor of the Speicher line is John Spyker Sr. who came to America on the ship St. Andrew on September 4, 1737 to Philadelphia. The Speicher name is thus spelled Speicher, Spicher, Spyker, and Spiker. ************* Also reported as 30th of Aug. 1737. In 1775 Peter Spyker, Esquire, signature. 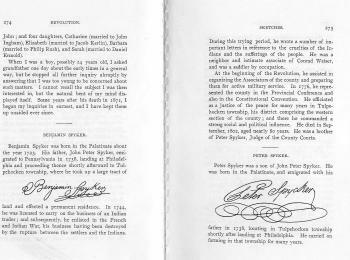 On 4 September 1776 Ordinance for the appointment of Justices fo the Peace for the State of Pennsylvania including Peter Spyker for the County of Berks. Signed by Benjamin Franklin, president of Pennsylvania. Peter Spyker was a President of the courts of Berks county. in 1780 at Berks, Pennsylvania. He was listed on the tax roll in 1784 at Berks, Pennsylvania, Spyker, Peter Sr + Jr, Henry, Benjamin. He was listed on the tax roll on 21 March 1787 at Pennsylvania Tax Rolls including Henry Spyker and Peter Spyker. 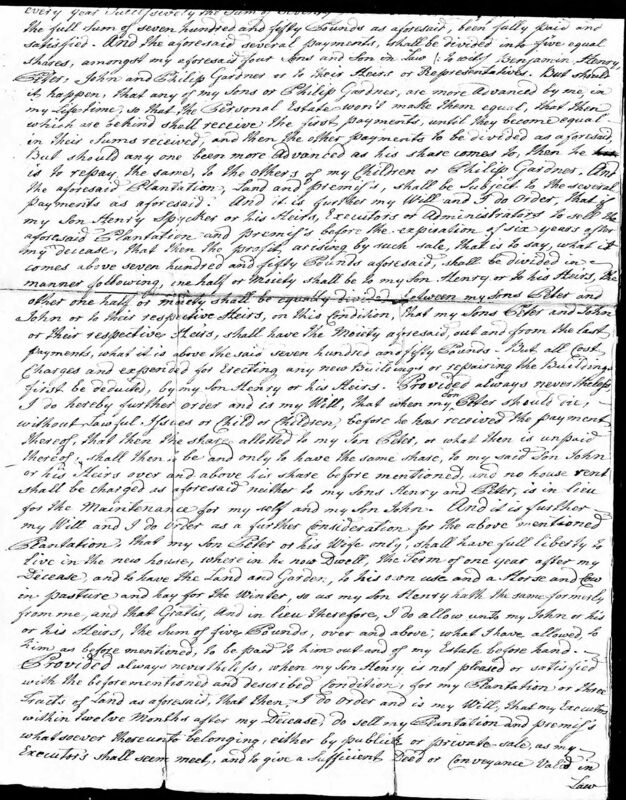 He left a will in 1789 at Tulpehocken, Berks, Pennsylvania, Will abstract for PETER SPYCKER, Tulpehocken. 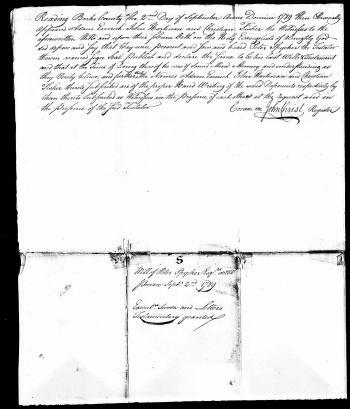 To son Henry my plantation of 3 contiguous tracts for £1150 to be divided among my 4 sons and son-in-law, viz: Benjamin, Henry, Peter, John and Philip GARDNER. Also to above my share in a tract of land in York County called a copper mine. Mentions grandson Daniel, son of Henry SPYCKER. Executors: Sons Henry and Peter. Wittness: Adam EMRICH, John HARTMAN and Christian FISHER. On 27 January 1871 Excerpt of Henry Spyker papers including his father Peter Spyker. On 30 October 1897 Biography of Peter and Maria Seidel Spyker. [S345] Pennsylvania, History of Berks County in the Revolution 1774-83, pages 275-276. Name Variation Maria Margaretha Seidel was also known as Seidle. Name Variation Maria Margaretha Seidel was also known as Margaret. Name Variation Maria Margaretha Seidel was also known as Elizabeth. 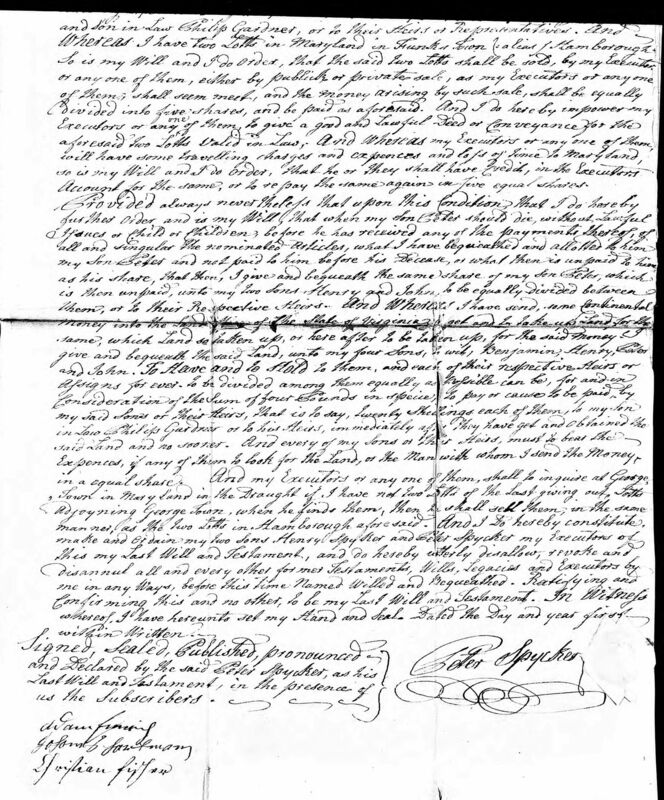 Married Name 2 December 1742 As of 2 December 1742,her married name was Spyker. Maria Margaretha Seidel was born on 27 March 1721. She married Peter Spyker, son of Johannes Peter Spyker and unknown (? 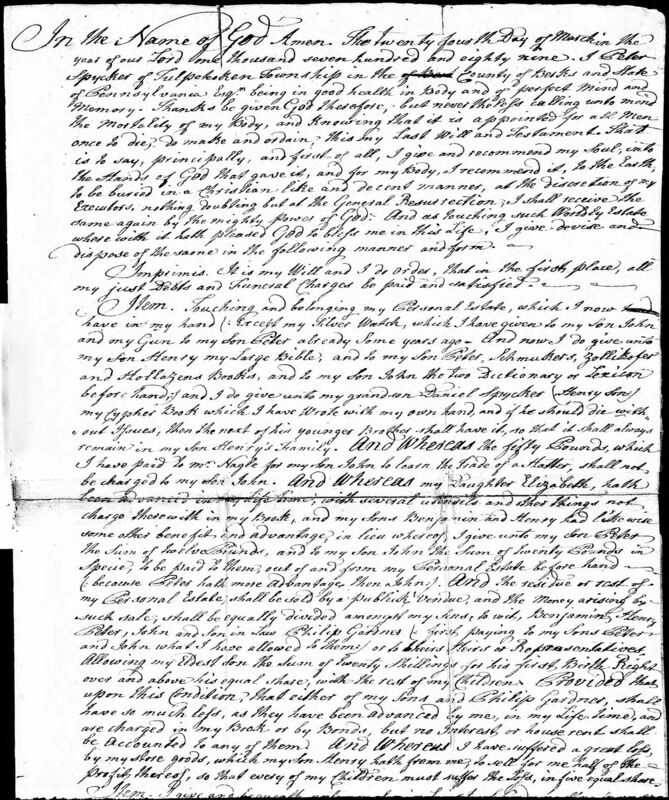 ), on 2 December 1742. Maria Margaretha Seidel died on 10 October 1789 at Lebanon, Pennsylvania, at age 68. She was buried after 10 October 1789 at Tulpehocken Trinity UCC Cemetery, Millardsville, Lebanon, Pennsylvania. Philip Baltzer Spyker was born on 17 October 1743 at Tulpehocken, Berks, Pennsylvania. He was the son of Peter Spyker and Maria Margaretha Seidel. Philip Baltzer Spyker died on 25 July 1748 at Berks, Pennsylvania, at age 4. Name Variation John Peter Spyker was also known as Johan Peter. John Peter Spyker was born on 24 October 1745 at Tulpehocken, Berks, Pennsylvania. John Peter Spyker died on 30 May 1747 at age 1. Name Variation Benjamin Spyker was also known as John Benjamin. Benjamin Spyker married Catharina Lauer. Benjamin Spyker was born on 16 March 1747 at Tulpehocken, Berks, Pennsylvania. Benjamin Spyker died circa 1819. 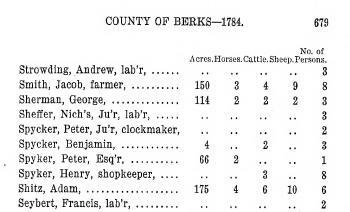 1786 Tulpehocken, Berks, Pennsylvania Benjamin Spyker appeared on the census of 1786 at Tulpehocken, Berks, Pennsylvania. 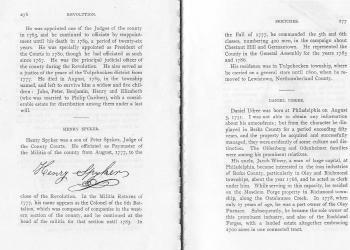 Another Pennsylvania-German schoolmaster who settled in Maryland and took an active part in affairs was Benjamin Spyker, Jr., a son of Peter Spyker, president judge of the courts of Berks county, Pennsylvania. He was born in Berks county in 1747 and was given an unusually good education for those times. Shortly after reaching his majority he went to Sharpsburg, Maryland, which had been laid out about five years before to become the schoolmaster of the German Reformed congregation of that place. Steps were immediately taken to build a schoolhouse, and in 1769, by means of a lottery, the sum of six hundred dollars was raised for this purpose and for completing the church. The managers for this lottery were George Strecher, Christian Orndorff, Joseph Smith, William Good, Abraham Lingenfelder, John Stull, Michael Fockler, George Dyson, and Benjamin Spyker. At the outbreak of the Revolution Spyker raised a company and served as captain in the Flying Camp and later in the Maryland Line. Captain, First Battalion of the MD "Flying Camp," June-Dec, 1776; Captain, Seventh Regiment, MD Line, Dec 10, 1776; resigned May 12, 1779. 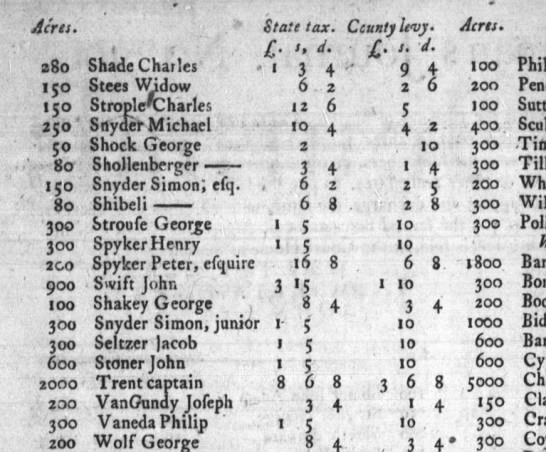 Benjamin Spyker was listed on the tax roll in 1784 at Berks, Pennsylvania, Spyker, Peter Sr + Jr, Henry, Benjamin. 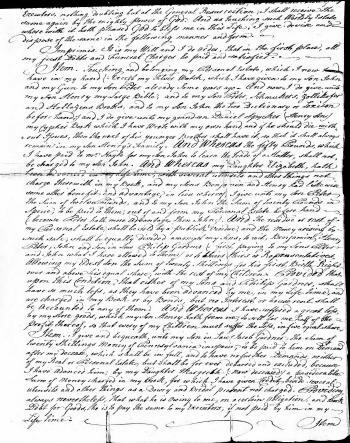 He left a will on 13 October 1812 In the Name of God Amen. 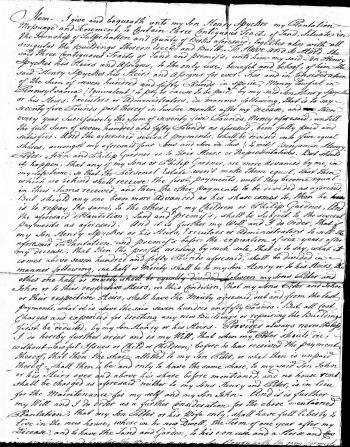 I BENJAMIN SPYKER of Washington County in the Commonwealth of Virginia being in perfect health & sound mind & memory do hereby make my LWT in manner & form following...My plantation in Washington County aforesaid I give & bequeath unto my loving sons DAVID SPYKER & BENJAMIN SPYKER their heirs and assigns forever to be by them divided...three of the neighbours whose decision on oath shall be final....to the maintenance of my daughter LYDIA in boarding, clothing and all other necessaries in sickness and in health during her natural life, and after her decease to defray her decent funeral expenses...rather live with her sisters ELIZABETH DECHERD or ELEANOR C. SMITH...And further if son BENJAMIN should want to part with his share of the plantation...my son DAVID shall have the refusal thereof...unto my son DAVID my household furniture...residue of my estate either real personal or mixt either in Pennsylvania or Virginia I give & bequeath unto my son JONATHAN SPYKER, ELIZABETH DECKERT, LUCRETIA DECHERD, & ELEANOR C. SMITH my daughters to hold the same share & share alike...appoint Executors...my sons JONATHAN SPYKER and DAVID SPYKER and sons in law MICHAEL DECHERD & JACOB DECHERD with power to the acting or surviving of them to sell all such my estate & transfer the same as I in my lifetime could have...set my hand & seal this thirteen day of October in the year of our Lord one thousand eight hundred & twelve /s/ BENJ. SPYKER....Although the aforewritten will and testament be wholly in my own hand writing, yet in order to avoid doubts. I BENJAMIN SPYKER do this first day of May A.D. 1813 request my friends & neighbours ROBERT DAVIS & WILLIAM WILLIAMS to sign their names as witnesses. Attest. ROBERT DAVIS; WILLIAM S. WILLIAMS. At a court held... the 15th day of February 1820. 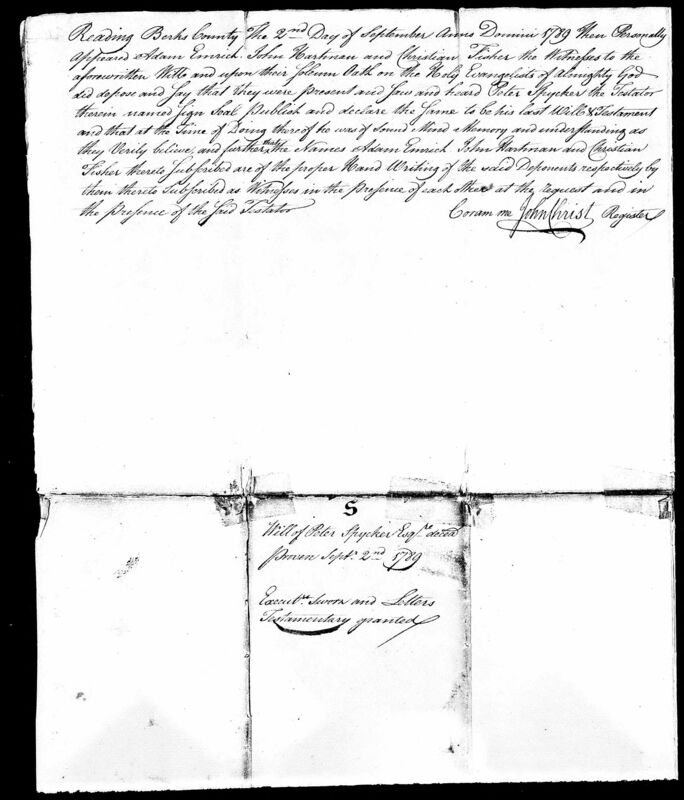 The LWT of BENJAMIN SPYKER deceased was exhibited.... proved... oath of ROBERT DAVIS and WILLIAM S. WILLIAMS the witness thereto and ordered to be recorded. 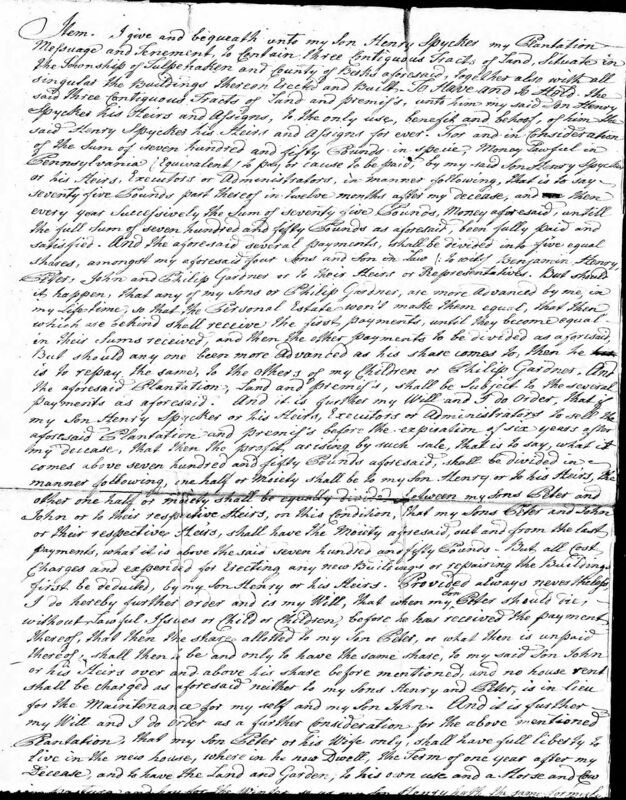 1812 - 1820. p. 323-324. Name Variation Catherine Spyker was also known as Anna Catherine. Catherine Spyker was born on 20 December 1750 at Tulpehocken, Berks, Pennsylvania. She was the daughter of Peter Spyker and Maria Margaretha Seidel. Catherine Spyker died on 20 March 1758 at age 7. 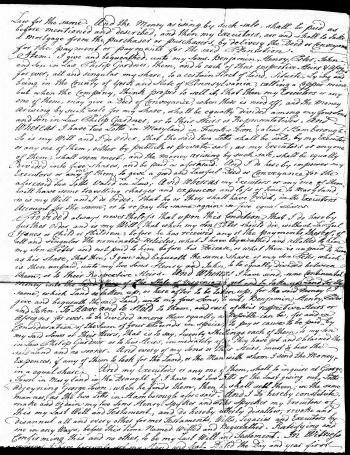 Married Name 15 February 1772 As of 15 February 1772,her married name was Gardner. Maria Barbel Spyker was born on 29 December 1752 at Tulpehocken, Berks, Pennsylvania. 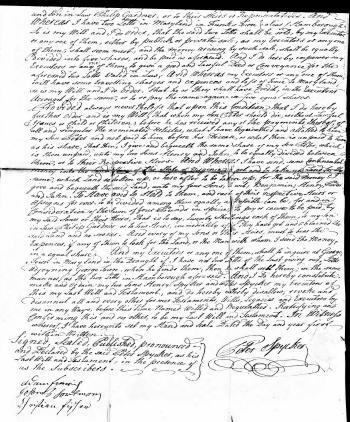 Maria Barbel Spyker married Jacob Gardner on 15 February 1772 at Tulpehocken, Berks, Pennsylvania. Maria Barbel Spyker died before 1789. Name Variation Colonel John Henry Spyker was also known as Heinrich. Name Variation Colonel John Henry Spyker was also known as Colonel Henry Spyker. Name Variation Colonel John Henry Spyker was also known as John Henrich. Colonel John Henry Spyker was born on 29 August 1753 at Tulpehocken, Berks, Pennsylvania. Colonel John Henry Spyker married Anna Maria Weiser, daughter of John Conrad Weiser and Maria Margaret Batdorf, on 29 October 1774 at First Reformed Congregation, Lancaster, Pennsylvania. Colonel John Henry Spyker died on 1 July 1817 at Lewisberg, Union, Pennsylvania, at age 63 Henry Spyker, Esquire. His children were: Mrs. Alexander Graham, Jonathan Spyker, &c. He was a son of Peter Spyker, who was president of the courts of Berks county in 1780. The Spykers, Crists, Kadermans, &c., came over with Conrad Weiser to New York, in 1710, from a place called Herrenburg, in Wurtemberg, Germany. In 1729, they all removed together to Tulpehocken, where Henry Spyker was born, 29th August, 1753. 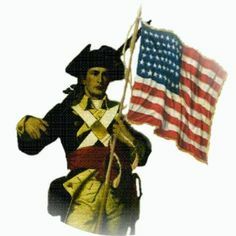 He was adjutant, in 1776, of a militia regiment on duty at Arnboy, New Jersey, where he heard the thunder of the battle on the 25th, 26th, and 27th. 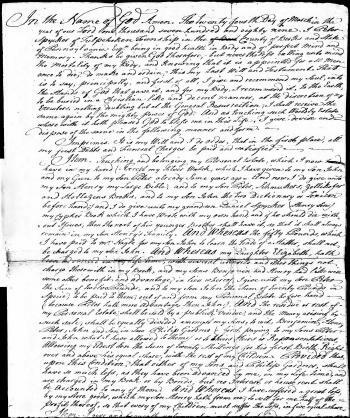 His manuscript journal is yet in the possession of his granddaughter, Mary Spyker, at Lewisburg, together with many valuable papers, a complete file of almanacs from 1756 down. He was paymaster of the militia from October 1, 1777. to July 27, 1785, during which he disbursed 122,847 pounds, 7s, 6d, and accounted satisfactorily for every cent. He was afterwards member of Assembly for Berks, 1788-90. In 1797, when Jonathan was twelve years old, just the age of Lewisburg, he removed to Lewisburg, where he engaged in store-keeping for a few years; was then appointed a justice, which office he exercised until within a few days of his death. He was buried after 1 July 1817 at Lewisburg Cemetery, Lewisburg, Union, Pennsylvania. 1786 Tulpehocken, Berks, Pennsylvania Colonel John Henry Spyker appeared on the census of 1786 at Tulpehocken, Berks, Pennsylvania. Perhaps the best known of any member of the Spyker family was Colonel Henry Spyker of the Revolution He was the sixth child of Judge Peter. At the early age of 23 years he was in 1776 Adjutant of Col Patton's regiment of Pennsylvania militia, and was on duty in New Jersey, when he heard, as he records in his journal thunder, of battle. He was afterwards colonel of the Sixth battalion. On August 26, 1777, he was commissioned paymaster of the Berks county militia, a position which he occupied until July 27, 1785. During this time his services to the State were simply invaluable. Amid the clamoring of the poorly paid troops he was compelled to exhaust every means of procuring the necessary funds, sometimes supplying the money from his own individual resources. His receipt book covering this long period is a model of neatness and correctness. He expended (British Pounds) 122,847 7s 6d (over $614,235) and accounted accurately for every penny. At the close of the Revolution he engaged in the mercantile business in his native place, besides taking a deep interest in public affairs. In 1784 Mr Spyker was elected to the State Legislature, a position which he filled for three successive terms. In 1795 he erected the first brick house in the newly laid out town of Lewisburg. In 1797 he closed out his interests in Berks county and removed to Lewisburg, then in Northumberland, now in Union county, and the county seat, ten miles above Sunlxiry on the Susquehanna River. At Lewisburg he again engaged in the mercantile business. Soon after his removal to this place he was commissioned a justice of the peace in which capacity he did a vast amount of business until the period of his death, which occurred on July 1, 1817. His wife Maria Weiser Spyker born 1754 died October 11, 1829. Both are buried at Lewisburg where their graves may be seen in the cemetery. They left a number of children. A STAPLETON Lewisburg, Pa. On 19 December 1777 at Berks County Militia, Tulpehocken, Berks, Pennsylvania, listed as Colonel Henry Spyker of the 6th Battalion, fighting in the Revolutionary War for American Independence; also listed as Spyker's Militia. 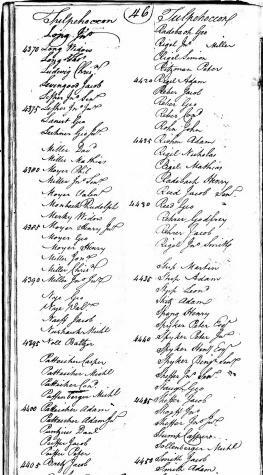 Colonel John Henry Spyker was listed on the tax roll in 1784 at Berks, Pennsylvania, Spyker, Peter Sr + Jr, Henry, Benjamin. On 27 March 1897 Col. Henry Spyker of Berks County. Henry Spyker was a son of Peter Spyker, who was president of the courts of Berks county in 1780. The Spykers came over with the family of Conrad Weiser to New York in 1710, from Germany. In 1729 they all removed to Tulpehocken and settled. There Henry, the subject of this notice, was born, August 29, 1753. Soon after reaching manhood he became identified with the party which favored the independence of the colonies and in 1776 was appointed adjutant of Lieut. Col. John Patton's Berks county Battalion of foot and in active service in the Jerseys during that year. In 1778 he was colonel of the Sixth Battalion, Berks county militia, and was subsequently until July, 1785, paymaster of the militia, during which time he disbursed 122,647 pounds, 7s, 6d and accounted for every cent. He was afterwards a member of Assembly for Berks county from 1788 to 1790. 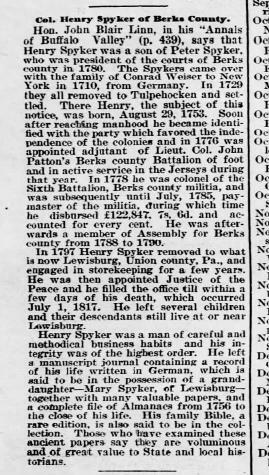 In 1797 Henry Spyker removed to what is now Lewisburg, Union county, Pa., and engaged in storekeeping for a few years. He was then appointed Justice of the Peace and he filled the office till within a few days of his death, which occurred July 1, 1817. He left several children and their descendants still live at or near Lewisburg. Henry Spyker was a man of careful and methodical business habits and his integrity was of the highest order. 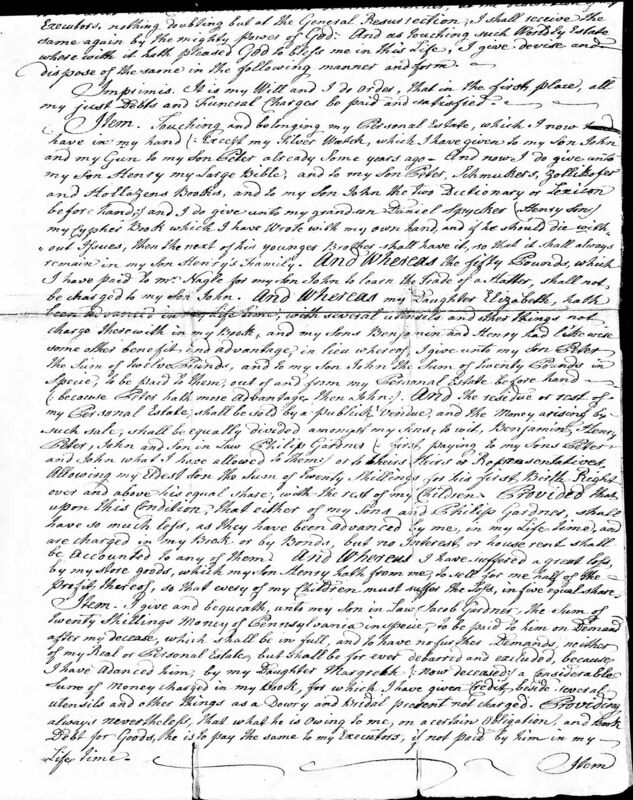 He left a manuscript journal containing a record of his life written in German, which is said to be in the possession of a granddaughter - Mary Spyker, of Lewisburg - together with many valuable papers, and a complete file of Almanacs from 1756 to the close of his life. His family Bible, a rare edition, is also said to be in the collection. Those who have examined these ancient papers say they are voluminous and of great value to State and local historians. On 30 October 1897 Biograph of Peter and Maria Seidel Spyker with details of "Colonel Henry Spyker, of the Revolution." [S345] Pennsylvania, History of Berks County in the Revolution 1774-83, pages 276-277. Baby boy Spyker died on 30 December 1758 at Tulpehocken, Berks, Pennsylvania. He was born on 30 December 1758 at Tulpehocken, Berks, Pennsylvania. Name Variation John Spyker was also known as Johannes. John Spyker married Anna Elizabeth Seidel. John Spyker was born on 8 January 1761 at Tulpehocken, Berks, Pennsylvania. Name Variation Catharina Lauer was also known as Lower. Name Variation Catharina Lauer was also known as Maria Catherine. Married Name Her married name was Spyker. Catharina Lauer married Benjamin Spyker, son of Peter Spyker and Maria Margaretha Seidel. Catharina Lauer was born circa 1750. Benjamin Spyker Jr. was born circa 1781 at Berks, Pennsylvania. He was the son of Benjamin Spyker and Catharina Lauer. 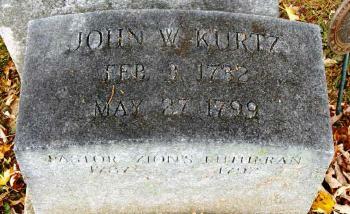 Name Variation Reverand Johann Wilhelm Kurtz was also known as Kurz. Name Variation Reverand Johann Wilhelm Kurtz was also known as Johan Wilhelm. Name Variation Reverand Johann Wilhelm Kurtz was also known as William. 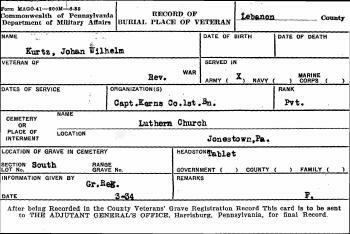 Name Variation Reverand Johann Wilhelm Kurtz was also known as John William. Reverand Johann Wilhelm Kurtz was born on 3 February 1732 at Lutzellinden, Giessen, Hessen, Germany, also reported as 03 June 1732. He was the son of Johann Georg Kurtz and Anna Katharina Bender. Reverand Johann Wilhelm Kurtz married Regina Wittman, daughter of Christian Wittman and Rosina Barbara (? ), on 1 November 1759 at Jonestown, Lancaster, Pennsylvania. 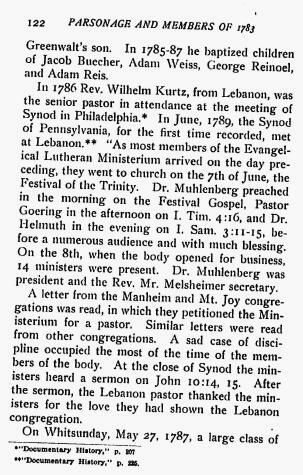 Reverand Johann Wilhelm Kurtz witnessed the baptism of Susan Kurtz on 2 October 1760 at Keller's Lutheran Church, Berks, Pennsylvania; Parents are the sponsors. Reverand Johann Wilhelm Kurtz died on 27 May 1799 at Jonestown, Lancaster, Pennsylvania, at age 67. He was buried after 27 May 1799 at Zion Lutheran Cemetery, Jonestown, Lebanon, Pennsylvania, Inscription: Pastor Zion's Lutheran 1787 - 1792. Reverand Johann Wilhelm Kurtz immigrated on 30 September 1754 to from Rotterdam to, Philadelphia, Pennsylvania, ship Neptune - Captain Ware. Circa 1777 Army private in the Revolutionary War; part of Captain Kerns Company, 1st Battalion. 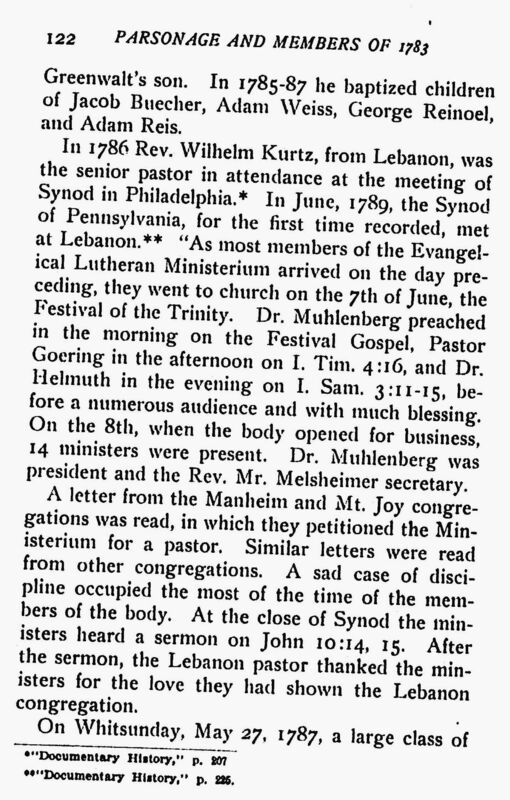 In 1786 at Lebanon, Pennsylvania, Rev. Wilhelm Kurtz, from Lebanon, was the senior pastor on attendance at the meeting of the Synod. Name Variation Anna Elizabeth Spyker was also known as Elizabeth. Married Name Her married name was Gardner. Anna Elizabeth Spyker married Philip Gardner. Anna Elizabeth Spyker was born on 18 May 1749 at Montgomery, Pennsylvania. Philip Gardner married Anna Elizabeth Spyker, daughter of Peter Spyker and Maria Margaretha Seidel. Philip Gardner was born circa 1748. Jacob Gardner was born circa 1750. He married Maria Barbel Spyker, daughter of Peter Spyker and Maria Margaretha Seidel, on 15 February 1772 at Tulpehocken, Berks, Pennsylvania. Name Variation Anna Maria Weiser was also known as Maria. Name Variation Anna Maria Weiser was also known as Mary. 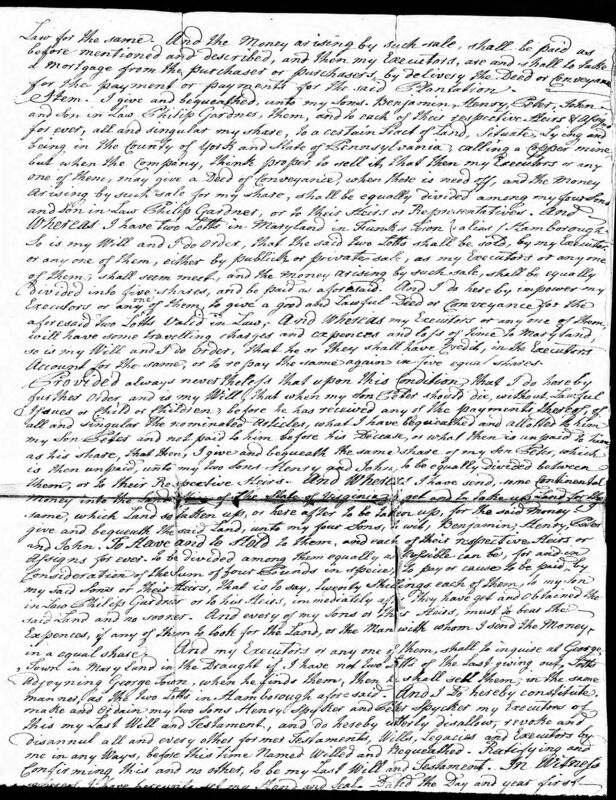 Married Name 29 October 1774 As of 29 October 1774,her married name was Spyker. Anna Maria Weiser was born on 1 April 1754 at Lancaster, Pennsylvania. She was the daughter of John Conrad Weiser and Maria Margaret Batdorf. Anna Maria Weiser married Colonel John Henry Spyker, son of Peter Spyker and Maria Margaretha Seidel, on 29 October 1774 at First Reformed Congregation, Lancaster, Pennsylvania. Anna Maria Weiser died on 11 October 1829 at Lewisburg, Union, Pennsylvania, at age 75. She was buried after 11 October 1829 at Lewisburg Cemetery, Lewisburg, Union, Pennsylvania.